Blue jeans (no rips, please! 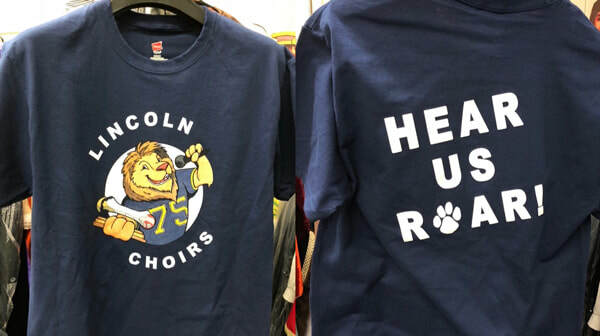 ), Big Bone Shirt or a Navy Blue shirt. The weather can be moody, so dress in layers; it's almost always sunny and warm by gametime, tho! Many thanks to Ashley Cameron, who designed them! The shirts are $10 each. If you didn't order a shirt and you want to, I ordered extras. Please bring your $$ with you (checks/cash/credit cards accepted, or if you want you can PayPal the $$ to lincolnhsmusicboosters@gmail.com). *NOTE* We won't slow down as much as the recording does for the fermatas; that is Finale's doing, not mine! Email me: missk@amkmusic.com. See you at Independence!